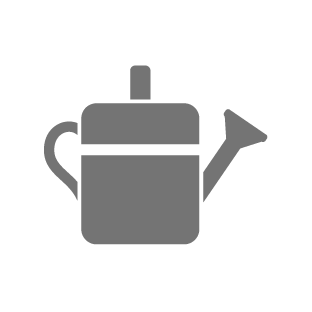 Series of four illustrate the benefits of indoor plants where we live, learn, heal, and work. Washington, DC – February 26, 2018 – Indoor plants where we live, learn, heal and work have far-reaching positive effects on our well-being and indoor environment, according to a new report from the National Initiative for Consumer Horticulture (NICH). 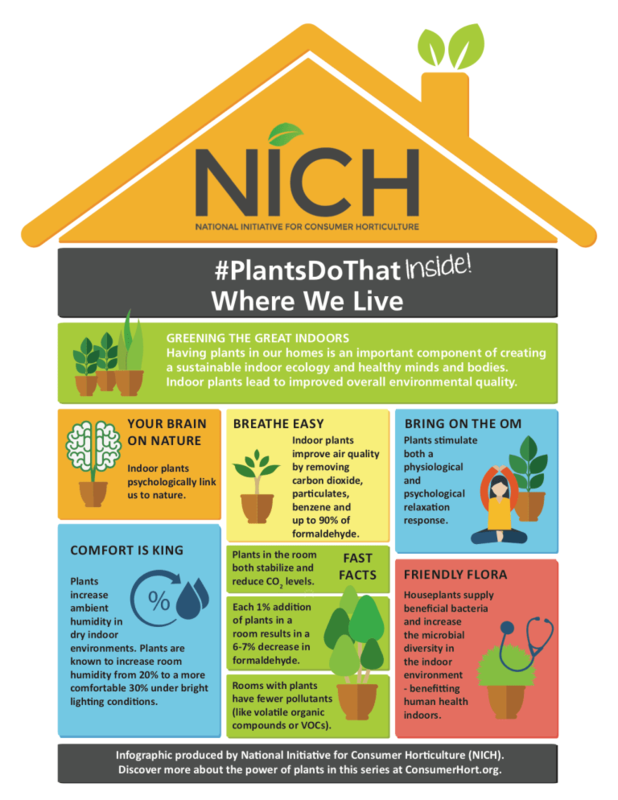 This new series of four #PlantsDoThat Inside infographics focuses on the multitude of ways indoor plants affect where we live, where we work, where we heal and where we learn. “Greening the great indoors is a way to help create sustainable indoor ecology and healthy minds and bodies,” says Dr. Charles Hall, Ellison Chair, Texas A&M. The infographic series developed from a scientific, evidence-based literature review, produced by Dr. Hall and his students. The series of four brightly colored infographics, designed by Jennifer Gray, AmericanHort, and Horticultural Research Institute, is free. One infographic a week well be released beginning today and can be downloaded from NICH’s website www.consumerhort.org. 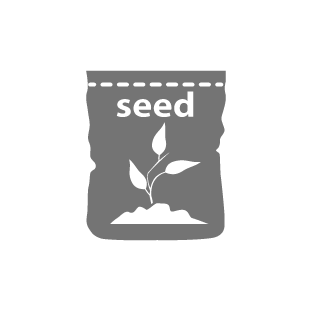 Growers, retailers, teachers, extension agents, and interiorscapers can use the infographics for promotional and educational materials and uploaded to social media. According to scientific research from NASA and others, plants clean indoor air, stabilize carbon dioxide and create comfortable ambient air humidity. Plants also boost healing, happiness, and productivity. 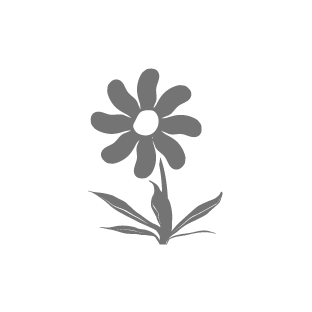 Rooms with plants have fewer pollutants like VOCs (volatile organic compounds). Plants in our homes increase room humidity by 10%. Plants remove up to 90% of formaldehyde in a room. “When plants are around, students are just smarter and pay more attention,” says Dr. Hall. The benefits of consumer horticulture spotlighted in the first NICH infographic titled “#PlantsDoThat, Horticulture: The Art, Science, & Business of Plants,” illustrated how consumer horticulture contributes $196 billion to the U.S. economy and creates more than 2 million jobs. 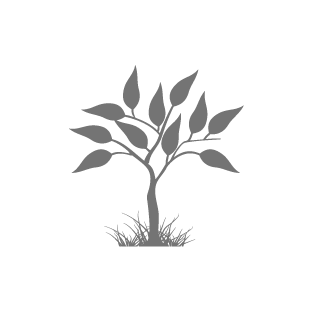 The National Initiative for Consumer Horticulture (NICH) is a consortium of industry leaders who are promoting the benefits and value of horticulture. 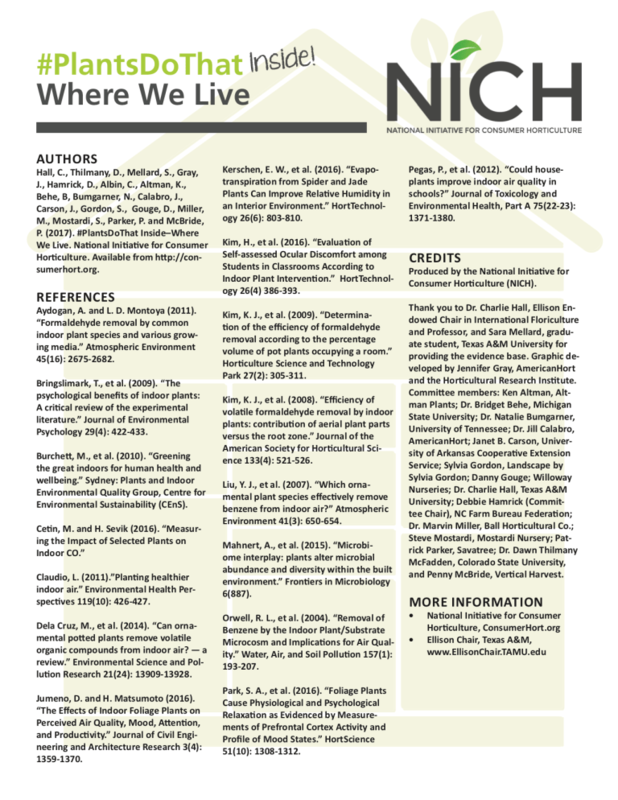 NICH brings together academia, government, industry, and nonprofits to cultivate the growth and development of a healthy world through landscapes, gardens, and plants – indoors and out, and to get 90 percent of U.S. households gardening by 2025. Help us spread the word. #PlantsDoThat Inside is available at the NICH website susan@gardenmediagroup.com.